Fall arrived in our neck of the woods today with a rainy cold front that hit about the time church got out. It is certainly welcome and refreshing. Verve's new Autumn Leaves is versatile and lots of fun...maybe a grown up version of jumping into a pile of leaves. The leaves were randomly stamped on craft, colored with Prismacolors (sorry for the glare in the late-night photos), and the panel was cut with a stitched rectangle die. The next layer was distressed and sponged with desert sand. The pretty seam binding was purchased at Crop Stop. This is GORGEOUS, Christine. I love the leaves and the sweet seam binding. Such a beautiful card, and I can't ever thank you enough for sharing your talents with us. Your art is SUCH a blessing to me, and you have been such a great source of support and love for so long. God bless you for all you do to love and support our challenges. I pray for God's blessings on you. Please know how thankful I am for you! 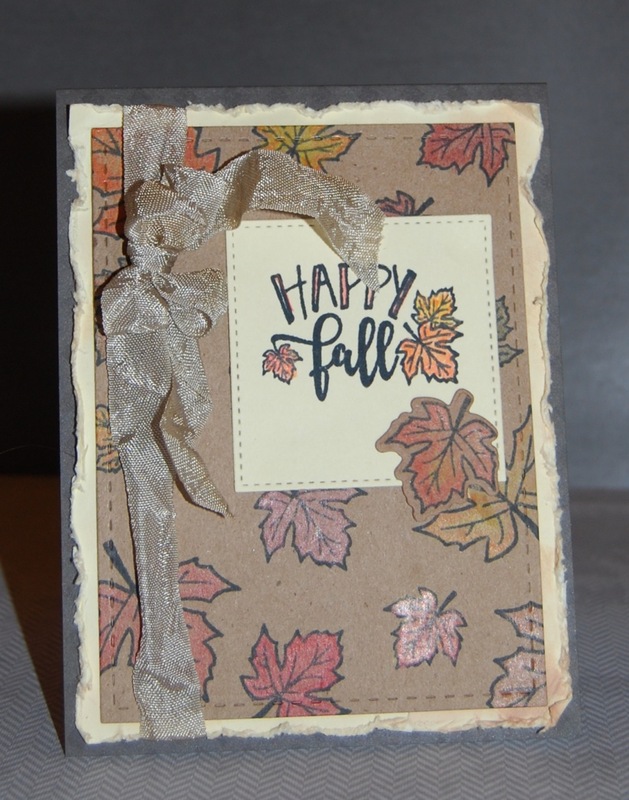 What a lovely fall card! I never can get a truly "random" look when I try stamping backgrounds - but yours is perfect! So happy you linked this up to the Cropstop blog -- I hope you'll join us again and help us reach our goal of 100 links this month! 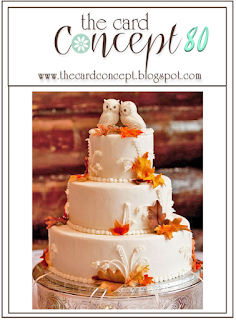 beautiful card :) love your take on the photo inspiration board I created! Thank you for playing along with us in the Simon Says Stamp Wednesday Challenge! This is so beautiful, Christine, I love your coloring on the kraft and the warm colors. The distressed edges and pretty ruffled bow are perfect touches. Love the coloring of the leaves! Such a pretty card! Thanks for joining us at the Card Concept! 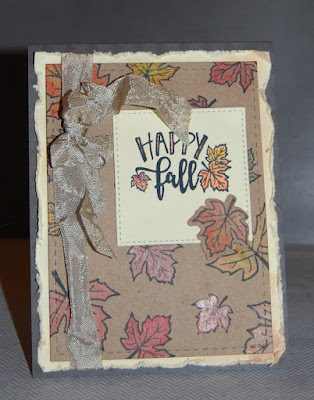 This is such a wonderful fall card! Love the leaves, your coloring and use of the sketch. Thanks for playing along with us at The Card Concept- we hope that you can join us again soon! This is just beautiful! Love the earthy colors and that sweet bow. 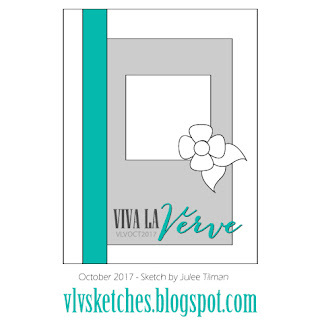 So glad you could join us for Viva la Verve!